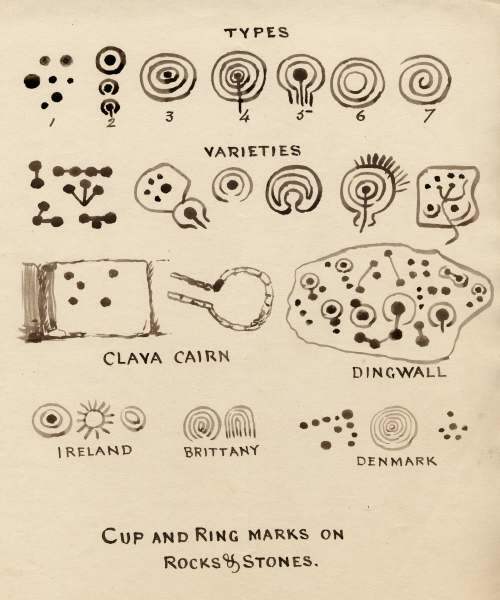 Notes on Cup & Ring-marked Stones with description of a specimen recently found in the Dunrobin Woods by the Presidt. 5 April 1881. Includes sheet of pen drawings of different types of marks. Single folded sheet, with separate sheet of drawings.